When you made your decision to become a landlord, it’s likely you did your research. You know how to handle faulty appliances, repairs, natural disasters, and how to balance your properties, but really, there’s no predicting whether you could get hit with a lawsuit. While some claims filed against you could be frivolous, you do not want to disregard the possibility of a legal suit. In fact, landlords have a higher chance of getting sued that those who will not. 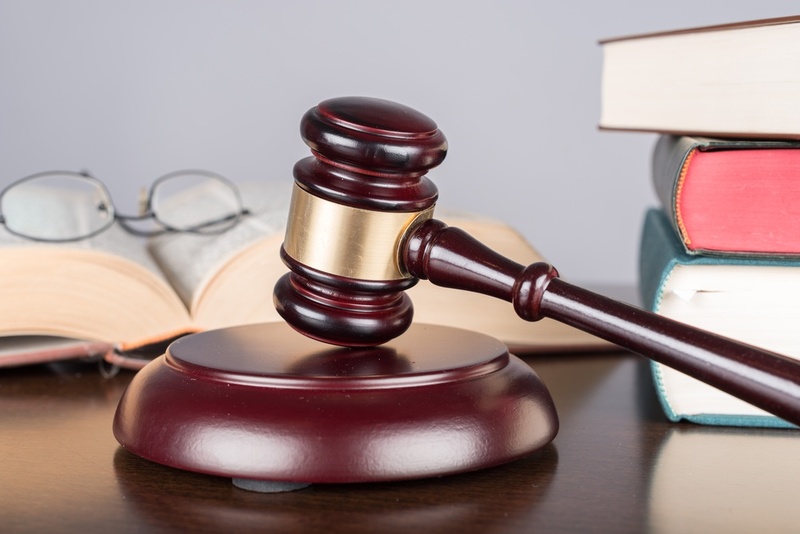 While the responsibility is already stress-filled and daunting, there are plenty of preemptive actions that could decrease your chance of being served a lawsuit. Tips to minimize your landlord liability. 1) Make sure your property is habitable. No one wants to be a slumlord, and you don’t want to run the risk of being called one. If you fail to provide reasonable habitation for your tenants, you could be sued. So, as your legal responsibility, you must be sure to provide housing that is clean, safe, and secure. 2) Stay on top of maintenance requests and repairs. A part of making sure your property is habitable is to stay on top of maintenance. To make sure your property is in safe, livable condition for the tenant, make yourself reliable and available for repairs. Situations such as a broken door lock could result in a nasty lawsuit in the off-chance there is a break-in, but you also don’t want your tenants feeling uncomfortable in your property. It is vital to make certain safety-related concerns are addressed promptly. It is also helpful to research and comply with state, federal, and local housing codes to ensure your property is in livable condition. 3) Become familiar with the rights of your tenants. All landlords need to be up-to-date on all laws regarding tenant rights and the proper legal proceedings of managing a property. Whether these laws are at a state level, local, or otherwise, any violation of stated tenant rights can result in legal troubles. It’s a good idea to stay out of the spotlight and avoid making yourself an easy target. Keep your personal life to yourself, and prevent any conflicts from gaining any momentum that could be of a private nature. Your business assets are separate from your personal ones, so do your best to keep it that way. It could be wise to consider using an LLC, not using your home address publicly, or investing through a partnership to protect your identity. 5) Make sure you are covered with quality insurance. While tenants should be required to carry their own renter’s insurance, and it is essential to verify they are covered, and it is renewed promptly. It’s also important to note that tenants who have pets could require additional insurance coverage, but this also depends on the size and breed. It should go without saying that you should also have your own insurance. Make sure you are covered for any situations that might result in a claim; this could include fire coverage, flood damage, and primary property insurance. You could even insure specific income policies that cover any gaps in rent in the case of an eviction. 6) Document everything. Leave a paper trail. If you aren’t organized, then you need to work on that, because it is immensely important to keep every piece of paperwork that traces interaction between you and your tenant. This includes inspection reports, receipts, maintenance requests, notices to residents, and more. If you possess proper proof to defend your case, it will make a world of difference. If you find yourself in a somewhat serious issue, require everything to be in email form. You should also document as much as you can with photos, video, and recorded calls. Involving a legal professional is the best move to protect yourself from liability. Third parties limit the occurrence of expensive legal mistakes, and will also come in handy in case you need a warning letter written or an eviction served. Plus, it’s always good to have a representative in your corner, especially if they are knowledgeable of the laws involved in the situation. 8) Disclose environmental concerns and be prepared to deal with any issues. The key to avoiding lawsuits that involve environmental concerns is to communicate any issues to your tenants and act quickly when a situation arises. For example, if you know lead-based paint or asbestos was used in your property’s construction, let the tenant know before they sign the lease. Likewise, if bed bugs, mold, or other similar issues arise, deal with them immediately. 9) Detail your lease, make sure it’s ironclad, and stick to it. Use a detailed lease agreement that is ironclad and also details every potential situation that could arise between you and your tenant. A signed lease is a legally binding contract between both parties, the tenant, and the landlord. Just as the tenant is legally required to pay rent to you, you are also bound to responsibilities as well. If you break your end of the contract, you could get sued. So be sure you also understand the lease and do everything you can to stick to the contract. Getting served can be intimidating, but your investment doesn’t have to be. We hope that you cover all the bases when it comes to managing your legal liability, but sometimes accidents happen. It’s impossible to know every checkbox needs to be marked, and proper precautions taken, because, sometimes, things are accidentally overlooked. Meanwhile, New Western is growing and we are working to establish ourselves in real estate markets coast-to-coast. With a widening reach, our number of investment properties is growing every day, and investors have even more chances to earn a profitable ROI. Our off-market properties are exclusive, and each one is pre-screened to guarantee a great ARV. This off-market inventory is available to the public and not listed on MLS, so you can get a head-start on a premium property with a huge profit-margin. Have we added any new off mls investment properties listed in your area? New Western Acquisitions’ will work to build up your portfolio whether you have a Houston real estate investment or are into wholesale house flipping in Arlington. New Western will provide you with the best advice, resources, and deals available.